Business sector have always felt the need of having sufficient data about the market that they are going to invest in. Even before starting their own business they thoroughly conducted market research to decide upon the product or service they wanted to sell. Similarly they have been forever keen to probe into their prospective buyers before establishing any business relations with them. That is when presales came into the foreplay and became one of the crucial aspects of the businesses. In this article we will briefly cover about what is presales and what are the steps involved in pre sales related to debt recovery management. What is presales and how it is related to Debt Recovery Management? Presales is a process or a set of activities/sales normally carried out before a customer is acquired, though sometimes presales also extends into the period the product or service is delivered to the customer. In general sense presales is a simple process of probing about the target customers/clients; but when we try to establish a relation between presales and debt recovery management we intent to generate awareness amongst the businesses as to how they can ensure stringent methods to recover bad debts by creating such a policy that ensures preventive measures to deal with bad debts. What are the usual steps involved in presales? What are the ways to conduct presales market research for the purpose of debt recovery? To find out the net worth of the target company before investing or establishing any business relations. To find out the size of the target company before investing or establishing any business relations. From the goodwill of the company. To find out the active/inactive status of the concerned business. To find out the past records of the concerned business as to whether any litigation is pending on that business or not. Nature of litigation i.e criminal or civil. To find out about the solvency of the concerned business. To find out the present running record of the company. 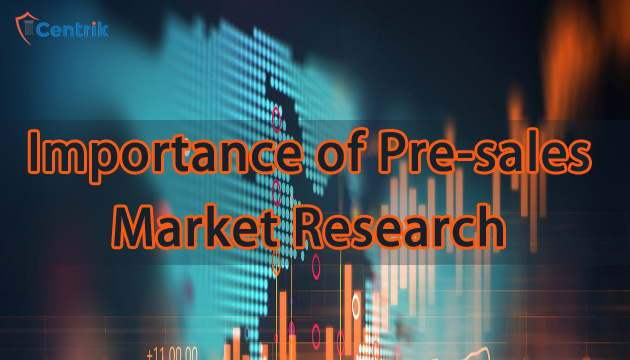 For any business pre sales market research is an important task. It is imperative to know about your customers and their temperament before establishing any business relations with them. Hence businesses can adopt to presales for the purpose of debt recovery management like a preventive measure. If one would foresee the frivolous nature of their customer then one would ensure to save their business beforehand from such customers, and rather wasting their time on chasing bad debts they would invest time on targeting healthy companies for business.